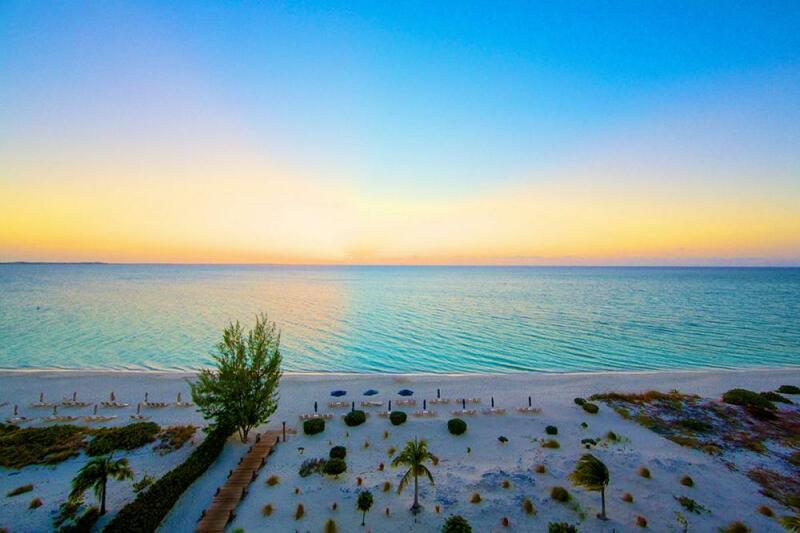 Turks and Caicos is well-known as one of the best areas in the Caribbean for beach lovers, and the Venetian resort will put you right on one of the finest beaches in the world. The Penthouse has a great view over the sea, and there’s a huge pool for swimming laps and sunbathing. The Cabana Bar Restaurant is hard to beat, and it’s just a short walk from the resort. Luxurious resort villa on Grace Bay! The Venetian Resort is located on Grace Bay Beach in Turks and Caicos, surrounded by coral reefs and clear blue waters. The Penthouse sits atop the resort with over 3,000 square feet of space and stunning views. Gaze at the sea from the fully screened terrace, and soak up the sun on the balcony. Plush armchairs line the balcony, and guests can dine or lounge inside the screened terrace. The Great Room has a sitting area, dining table, and gourmet kitchen, all decorated with simple, chic accents. Stainless steel appliances, granite countertops, double ovens, and a breakfast bar take the kitchen to the next level. Each of the three bedrooms has air conditioning and an ensuite bathroom with a shower. There’s a king suite, queen suite, and twin suite, as well as a queen pullout sofa in the media room. The Venetian Resort is convenient to golf, diving, snorkeling, fishing, tennis, and horseback riding, as well as a large stretch of Grace Bay and a European-style pool. There are resort wedding packages for any guest, from intimate nuptials to larger, more involved ceremonies. Discount of 25% off rental rate. Applies to bookings 3 nights or more. Offer valid on the 3 bedroom rates.